The act of buying or selling sexual activities is illegal in all states in the U.S. except for a few counties in Nevada. This act is referred to as Prostitution, and it takes place daily all over the world. Prostitution is prohibited by Florida Statute 796.07, which defines prostitution as “giving or receiving of the body for sexual activity for hire but excludes sexual activity between spouses.” 796.07 prohibits the acts of giving and receiving sexual activities for hire, but also prohibits making an appointment for prostitution to take place (this is referred to as assignation) as well as owning or operating a building, structure, or conveyance for the purposes of prostitution, lewdness or assignation. Prostitution charges can be issued by Florida law enforcement when two parties make an agreement to exchange sexual activity for money, regardless of whether or not the act actually took place. Since Florida law enforcement takes prostitution very seriously, prostitution “stings” are conducted in which law enforcement agents pose undercover as prostitutes, or those seeking sexual acts in exchange for money so that they can identify and arrest those who participate in prostitution in all capacities. The Broward County criminal defense attorneys at The Ansara Law Firm have been retained by individuals who have been accused by the State of participating in prostitution in multiple capacities. Our attorneys believe in our Constitutional freedom that everybody is entitled to a strong defense from the powers of the criminal justice system. The state of Florida takes prostitution very seriously, and Attorney General Pam Bondi is focusing on making Florida a “zero-tolerance” state for human trafficking and prostitution. Due to the black market status of prostitution in the United States and the subsequent lack of oversight and protections, many people, most of which are under the age of 18, are forced into prostitution rings by means of human trafficking and there is little hope for their escape. As a part of this initiative, Florida law enforcement is cracking down on prostitution and human trafficking through various kinds of sting operations and investigations into places like massage parlors, which sometimes act as a front for illegal prostitution rings. The problem with these vigorous crackdowns is that law enforcement agents posing as prostitutes or solicitors can entice law-abiding citizens to participate in prostitution who would not have agreed to participate had they not been coerced and convinced by law enforcement. While the purpose of a sting is to catch those who regularly participate in prostitution in the act, but sometimes agents can go too far and aggressively attempt to convince people to engage in these behaviors when, under normal circumstances, they would not have. This is referred to as entrapment, and is a common defense for those who are caught in a prostitution sting. The Broward County criminal defense lawyers at The Ansara Law Firm have defended clients who have been accused of both soliciting and providing sexual acts in exchange for money. Entrapment by law enforcement is illegal, and our attorneys believe that no person who was enticed by law enforcement to commit a crime that they otherwise never would have under normal circumstances should not be treated and charged as a criminal in a court of law. If you have been accused of being involved in any kind of activity related to prostitution in Broward, Palm Beach or Miami-Dade counties call The Ansara Law Firm for quality legal representation. Our attorneys believe that every American is entitled to a strong defense from our justice system. Don’t fall victim to the court, and exercise your Constitutional rights to be represented by a quality attorney. 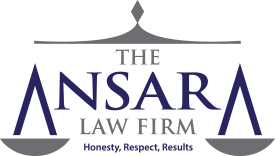 If you or a loved one were recently charged with Prostitution, call The Ansara Law Firm at (945) 761-4011 immediately for quality legal representation in South Florida.